For over 20 years, Aurora Picture Show’s Extremely Shorts Film Festival has showcased a diverse selection of adventurous, new short films and videos–each 3 minutes or less. This unique festival has become a lively Houston tradition, providing audiences with opportunities to experience a wide-ranging cross section of new visions from local, national, and international artists. This touring program is a curated survey featuring films from the U.S., Canada, Japan, France, and Italy that have been featured in the festival over the last two decades. Aurora Picture Show is a Houston-based media arts organization dedicated to expanding the cinematic experience and championing experimental film, video art and audiovisual performances and installations. Aurora supports artists, engages audiences, educates youth, and fosters collaborations through a variety of unique media art experiences in its own exhibition space as well as alternative spaces throughout our community. A portrait of the Texas refinery town, as told by the history of country music. 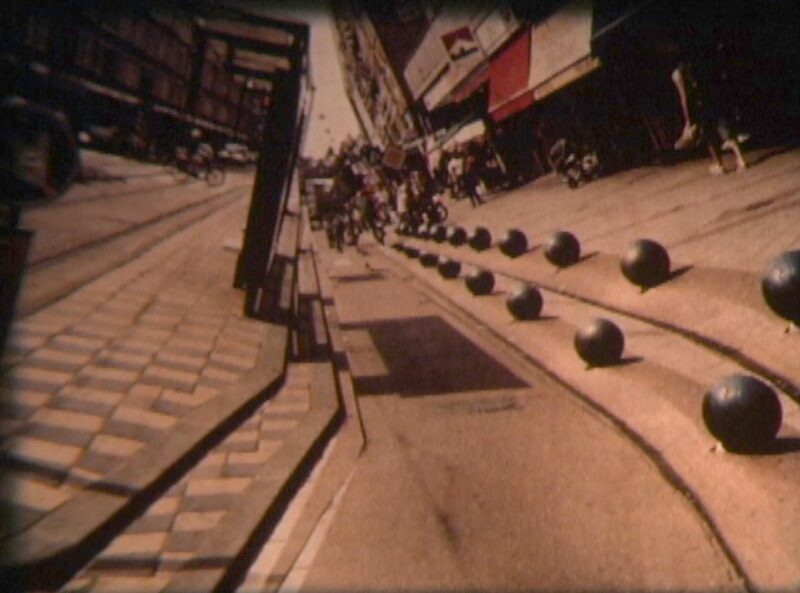 This 16mm film was shown at the very first Extremely Shorts Film Festival in 1998. An animated music video made during a residency at Bay Area waste management facility Recology, using images and objects scavenged from the waste flow of San Francisco. Part of the artist’s Strip Mall Trilogy of city symphonies attempting to liberate color, sound, and form from the sprawling consumerist landscape of postmodern America. The musique concrete soundtrack is composed of sounds recorded at the strip mall. Culling material from various Cuban films and literature, this film captures the state of the aging Cuban-American exile community, from the point of view of a dying shark. Walking around the Italian island of Lampedusa, a hyperthymesiac man recites the names of more than 500 immigrants who died while attempting to reach Europe. A high-speed collage animation in which images, objects, and personalities converge to form a condensed vision of a day-in-the-life of Amsterdam. A commission from the Stadsdeel de Baarsjes. Music by Hilary Jeffery. A layered, textured animation in ink, gouache, white-out and coffee. A cunning cat meets its enemy, a red fish. He swears to destroy her…but will his carefully calculated plan succeed? A squad of five soldiers is lost in the desert. A barber started cutting a boy’s hair while watching a football game on TV. This text-based video highlights a mostly unknown phone call made by a well-known man. A nostalgic voyage takes a darker turn. Frog Jesus explores the naiveté of mankind through the eyes of a young boy. Marc and Julia just found each other, yet they already have to say goodbye. Adapted from the novel “Between Appear and Disappear,” the film’s narrator pieces together two incomplete reflections: one of war, and the other of a flood. A recomposed memory of images and sounds from the indescribable experience of the artist’s friend–one of the few to escape the World Trade Center disaster on 9/11. Modeled after Muybridge’s photographs, hundreds of horse images are sequences to create a galloping motion. Forgotten family moments brought back to life. The artist’s father reflects on youth, commitment, and his dedication to a corporation. A rural Appalachian streetscape is given a quality of magical realism through the fantastical interpretations of the town’s protagonist, Ty King. San Francisco legends Samir and Nabil Kishek worked for more than two years on their quest to build the largest rubber band ball. A series of unusual dances with cowboys mixes the comic with the sincere. The rhythmic gestures of a tailor and his wife become a dance, but this glimpse of desire soon falls down like a pin. An autobiographical video diary recorded for her unborn grandchildren, hearkening to bygone times when people could glimpse one another through a locket or lock of hair. Split-screens and flying graphics collide in this musical mash-up commenting on the rhetoric and tone of Fox News.